Last week, my girls received a much anticipated package in the mail. 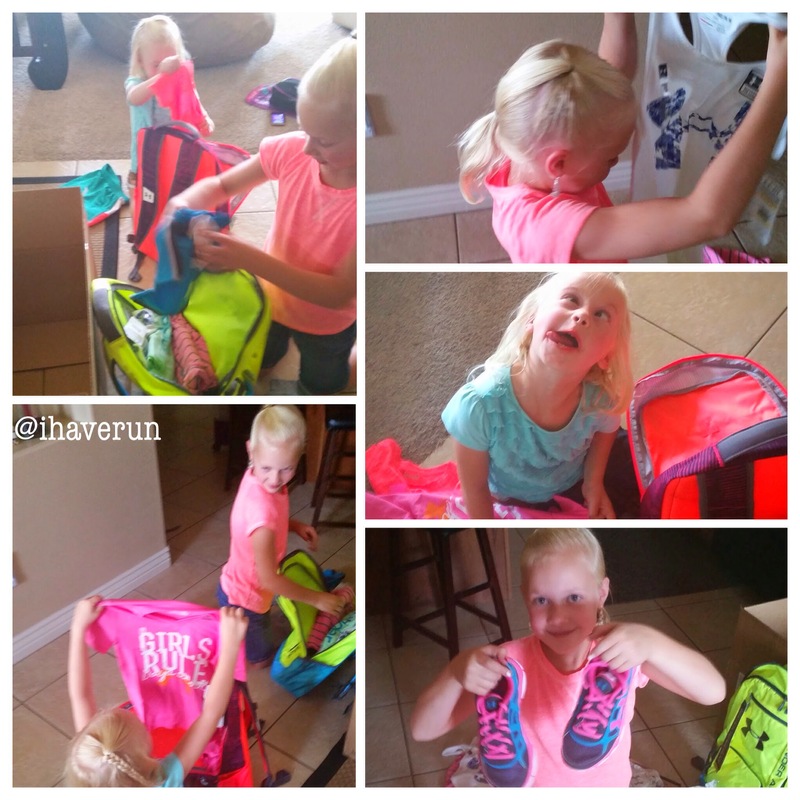 They each got a backpack full of athletic gear from Under Armour. It was seriously like Christmas in July! They couldn't wait to test out their new gear. 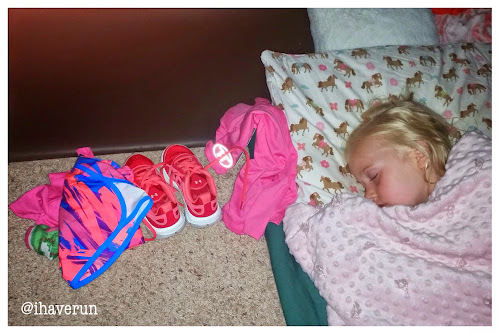 Ellie was so excited, she laid her outfit out next to her when she went to bed (on Grace's floor). When they woke me up the next morning, they were already dressed and ready to go! They loved everything, and are still wearing it every chance they get. I have to say, I am a little jealous. Especially of their shoes!!! Friday night I went to a baby shower for one of my favorite people in the world. Emily is expecting her second, much anticipated baby. 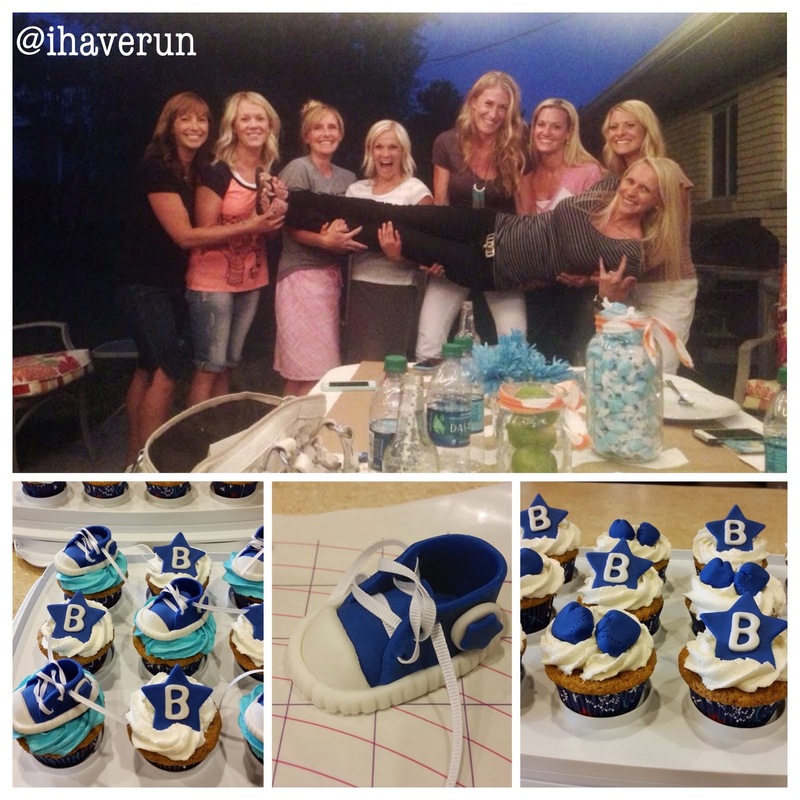 The women at the shower are seriously amazing. And all runners of course! I made cupcakes: tiny chucks because they went along with Emily's announcement that she was expecting a few months ago; and boxing gloves because Baby B is her "little fighter." 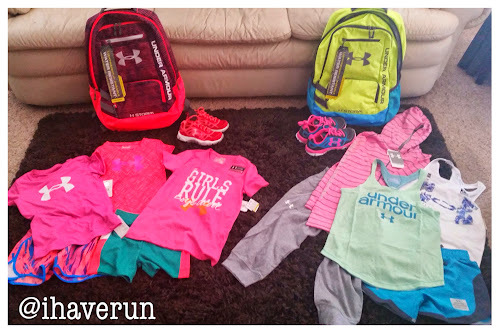 Have I mentioned our RUNNERD website? If you haven't checked it out, you should. And now you can get your own official oval RUNNERD sticker. It's only $2 on the website's Home Page! And because it was a happy event for me, I have to share my run from this morning. It was 15 minutes easy followed by a 15 minute tempo at sub-7:15 pace. I was really scared to tackle it. Every time I saw it getting closer on my plan last week, I got nervous. But when I told Scott about it last night, he was completely confident that I would totally conquer it. So I channeled his confidence in me and just focused on relaxing and breathing. And I did it! Do you like tempo runs? 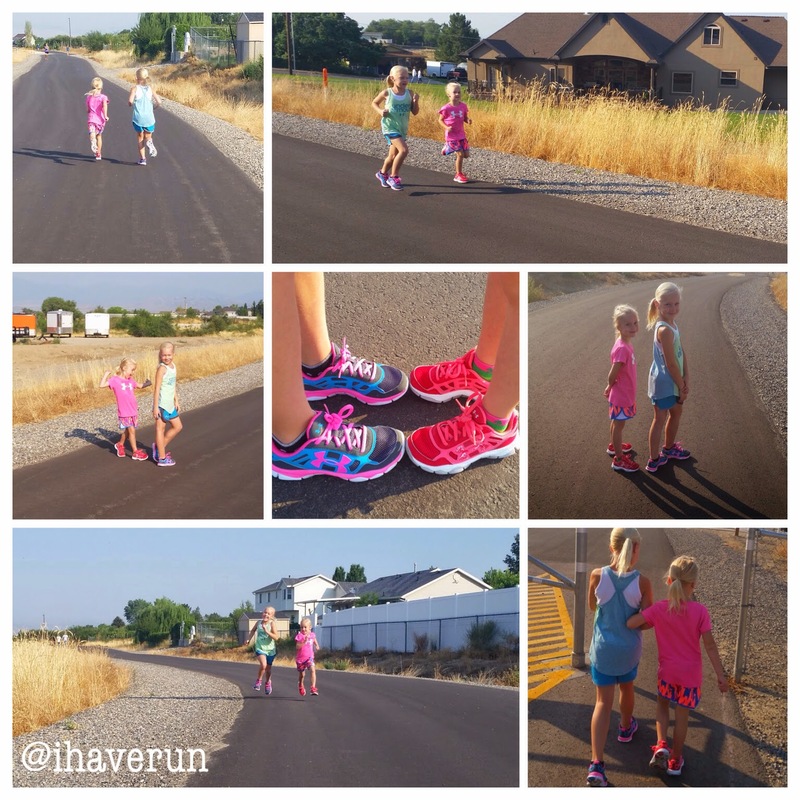 I like speed intervals better than tempo runs. What is your favorite flavor of cupcakes? The ones I made for the shower were carrot cake, Emily's favorite.